4 piece Sydney based outfit Dumbsaint make intense instrumental music that swings between really heavy and really pretty. They also make short films. Not like video clips though…more like visual narratives. This combination of mediums puts them in a category all of their own. The duality of both stage and screen has long been part of the bands appeal and has earned them respect and attention. The opening song ‘Low Visions’ is a massive introduction to the body work. It grinds away with low tuned guitars and huge drums delivering rhythmic blasts and clever off-time signature stuff. Very tight and very engaging. It follows with ‘Communion’ which introduces some pretty melodic guitar twinkling and spacey verbs before reaching almost post-metal territory mid way through. It builds tension and keeps the pace up until about the 5 minute mark where it retreats to a more chilled but darker ambient sound. It’s quite a ride! As a listener, by the time you’ve reached track 3 you should have a fair idea of what you are in for: well executed and dramatic rock music that dabbles in prog/post metal that hits some soaring highs and bleak lows. Production is superb on this. Guitars have body and thickness when hitting heavy and the sounds dialled in for the quieter parts aren’t too washed out or bright. Drums are solid, big and live. A lot of what is going on rhythmically has to do with the busy and creative patterns played out here and although the band members all have standout moments…the drums are just unreal! Take the frantic energy of the opening minute to ‘Cold Call’ for example… amazing. Another album highlight was the brilliant bass and guitar work on ‘Graceland’. This Tool-esque piece of music made me hit replay almost immediately. Gorgeous melodic progressions play under clever percussive tones and made for a standout moment amidst all the awesome heavier tracks. At present just the music is out.. as per normal.. for stream/download or purchase but the truly innovative part of this bands art is the companion piece which is not yet available…a full 60 minute film. That’s all available for pre-order along with the vinyl issue of this opus which is due to drop early 2016. In the interim, video’s for ‘Communion’ and ‘Cold Call’ are up for viewing so definitely go check them out for a good indicator of what is yet to come from these ambitious overachievers! This is an outstanding record full of intense, creative and powerful sections of music. It’s really engaging and easy to digest compared to other releases in this style which require a little more patience for the pay off. There is depth here that will yield other gems with further listens but on first spin..it’s a great ride. Without doubt a contender for some top listings on AOTY polls. 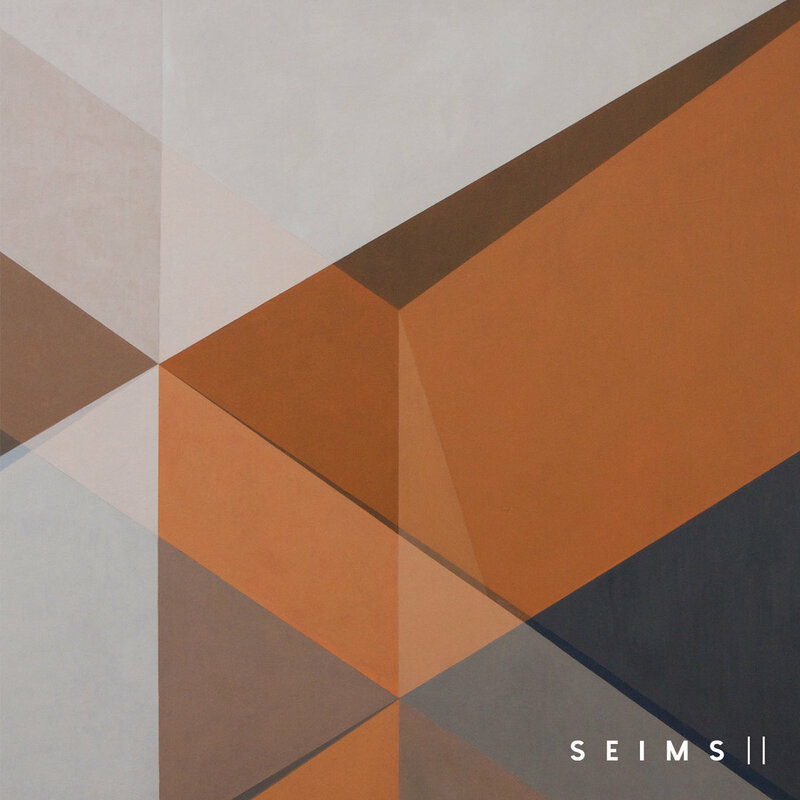 Seims are from Sydney, they play instrumental rock songs so utterly slathered in synths, effects pedals and guitar trickery it’s actually sometimes hard to determine exactly what bits are guitars and which are not! It’s reminiscent of old 8-bit video game music..but with guitars…and drums…anyway this is really engaging stuff! Very inventive! The album is simply titled ‘II’ (or ‘two’ for those who cant read good or do other stuff good) and is 9 tracks of riffy math-rock that maintains an up-tempo pace and high energy from start to finish. It’s not overly complex for a band with these leanings but is probably some of the most fun and accessible music in this genre I’ve ever heard! Highlight track for me was #3 TUN’ with its super dirty opening bass riff, fast driving drums and the glitchy but still really cool slow-down-build-up section towards the end. On the bands music page they have a spoiler alert: no clean tone was used in the making of this album. They are not lying and it’s clear right from the start that main man Simeon Bartholomew isn’t taking himself too seriously but still wants this stuff sound powerful. It does. I cant recommend this enough to fans of prog/math & instrumental bands who don’t have 12 minutes to sit through a song. Or perhaps you don’t want to feel super bummed out and depressed whilst listening to your music… this is what you’ve gotta put on! 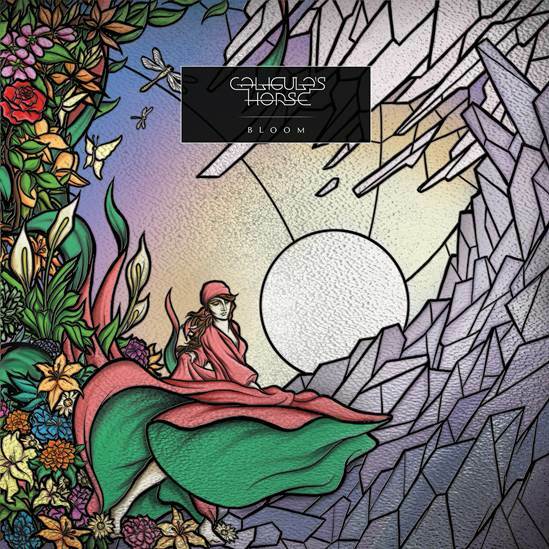 Brisbane lads Caligula’s Horse dropped their 3rd album in October, loaded with ambitious progressive rock moments, heavier metal inspired riffs and super impressive vocal work. Then…they hit the road with TesseracT. What a month! If you don’t know the band prior to hearing ‘Bloom’ (like myself) you’ll likely experience a body of work purely as it is and not in comparison to past material. The only pretence is that the record is a) Aussie b) Proggy and c) Heavy. So…as with any new release it’s in our nature to listen out for influences and familiarities. In this case it’s: Opeth, Jeff Buckley (yes that’s right!) and Karnivool. The song writing is at times rather lengthy and a bit of a marathon (typical of bands in this genre) however front man Jim Grey’s stunning vocal work takes the chore out of the long arrangements and give’s the material a more accessible angle. What you’re getting is 8 tracks that range from melancholy, tense and heavy moods with each turn showcasing a different shade of the band. Guitars tones change throughout the songs, drums build and explode with a sense of dynamics and taste. Bass punches to the front tastefully for some really cool feature moments and finds the background just at the right times. The opening track ‘Bloom’ is a soft start that seamlessly transitions into ‘Marigold’ (also the lead track of the album) as if they were one long piece merely broken up by track numbers. The latter really takes the listener on a journey that rewards you with some great off-time signatures, creative guitar work and busy drums. It’s hard not to smile! Album highlight though was the third track ‘Firelight’ which may be the biggest sucker punch on ‘Bloom’ where the band takes an almost commercial/pop rock approach at the start of the song bringing in some lighter chimey guitar tones and a more emotional feel that left me thinking ‘wait..what..the..hell..is this?’ Before long the guitars open up and the chorus springs forward and the whole thing feels like it deserves a round of applause for its cunning and tact. Production is modern and punchy but less polished and ‘perfect’ than other colleagues in the genre (looking at you DLC, Twelve Foot Ninja etc). There were a few moments which involved some double kick and palm muted chugging that sent an awful frequency ‘woofing’ through my speakers which wasn’t too great. Mastering is an art sure..but I was a bit surprised this made it through the process. Overall I’m pretty impressed and a firm believer that repeated listens will yield new discoveries from this album. It is both accessible and deep enough to retain my interest. Get on it. 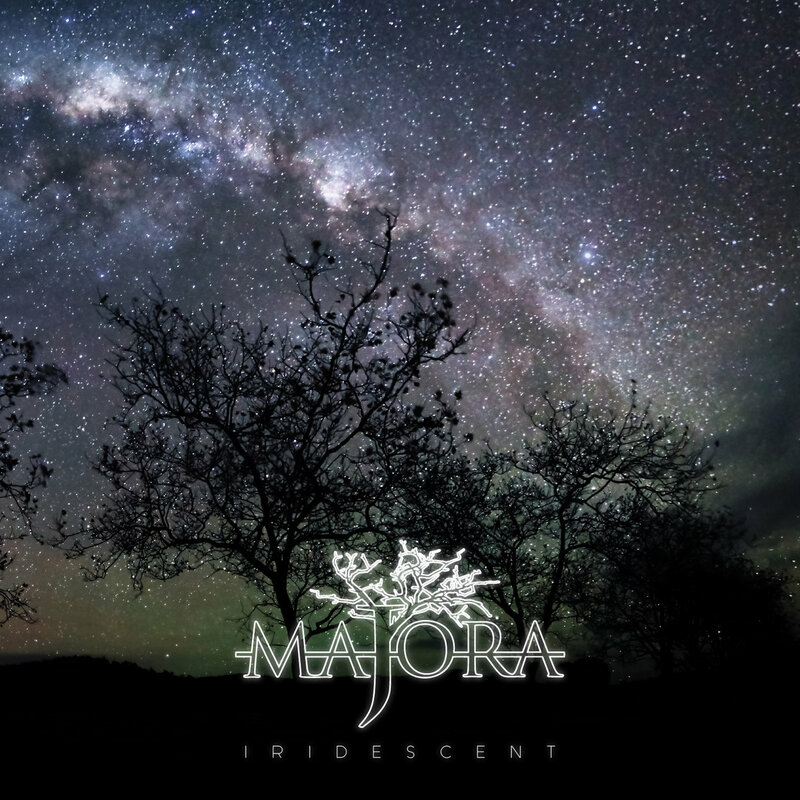 Newcastle 4 piece ‘Majora’ released a powerful collection of 6 songs back in August in the form of an impressive debut EP entitled ‘Iridescent’. Gaining some early radio exposure through Triple J and Unearthed (plus favourable reviews on the web site), they drew listeners attention to the bands dynamic prog/post-rock sounds. Initial comparisons with Sydneysiders ‘Sleepmakeswaves’ would be forgiven (if not welcomed given their success this year) as the two bands subscribe to the same idea of crafting high energy rock with the intricacies of progressive metal and ambience of post-rock. Interestingly, the band worked on the material and recorded the entirety of this EP before even stepping foot on stage together as a group. In fact the bands live debut coincided with the release of the EP which stands as a testament to patience and preparedness! Since then Majora has been eagerly trekking up and down the east coast on tours and road trips spreading the name and building a national profile which I feel is going to benefit them quite a great deal when it comes time to drop EP #2 should the love from Triple J not be there a second time around. What you get with ‘Iridescent’ is essentially a very engaging and sometimes heavy riff-driven instrumental record that boats tight clean production, big drum sounds and thick guitars. Tracks are sprinkled with blips and clicks courtesy of samples and synths for added colour. There’s melody a plenty and a more than a few moments of well executed tension building up to satisfying crescendos. All this suggests it isn’t their first rodeo (so to speak) but rather just our first time hearing them under this banner. The record is available via usual digital outlets..
Melbourne’s 5 piece post-rock outfit Fourteen Nights At Sea release their amazing third album ‘Minor Light’ on Adelaide based indie label Hobbledehoy Records. Fourteen Nights at Sea have followed up their brilliant 2013 full length ‘Great North’ with five new tracks of sombre, emotional and epic instrumental post rock that relies heavily on layers of sound created by guitars, effects, synths and drums. It took the band some time getting this release out to the world. It’s been roughly a year since the majority of the material was completed for ‘Minor Light’ to getting it all wrapped up and packaged for people to take home. Wether you opt for the digital grab or the gorgeous vinyl option (available to pre-order now) the end result will truly reward. Opening track ‘Teeth Marks’ makes a big entrance. First impressions include noticeably more polished production than previous works, big guitar sounds and volume. Many of the bands other songs take the slow climb to a huge moment… this one starts right up there and slowly winds down. Instant favourite. ‘Them Colonies’ is a slow burner with layers of ambient tones and ringing guitars that suggest just enough melody to suit a film score or soundtrack. Only in the last 1 and a ½ minutes does the track start to swell, drums enter, gain on the guitars goes up and it’s all fans of this genre could want. Following on almost seamlessly is the title track ‘Minor Light’ and once again shows how this group has mastered their approach to building a wall of sound from so little without loosing its integrity or relevance. Suitable listening for meditation, cleaning up after the apocalypse or star gazing. Totally up to you. ‘Vale’ was the first track shared in the lead up to the albums release. (http://digital.hobbledehoyrecords.com/album/minor-light)It’s a familiar offering which could have fit in easily amongst the bands other releases. Drums enter right at the beginning and the band plays out in a restrained manner until around the 5 minute mark. Then gears switch and it dwells on this progression of chords supported by the synth/ambience layers that provokes images of cold winters, empty houses and sad goodbye’s. Not a happy summer jam. The closer ‘Chiltern Justice’ has a depth and darkness to it that will really appeal to fans of GS!YBW and This Will Destroy You. The slow climb reaches its crescendo at around the 4 minute mark and from then on it’s a dark and moody ride out to a close. ‘Minor Light’ is about 40 minutes of ethereal gloomy music that wont disappoint fans of the bands earlier work and will serve as a solid introduction to new listeners. The band plays gigs pretty regularly and are well worth catching at a show to witness their craft in a live setting. The energy you can’t capture on a recording that can only come from thrashing about on stage and coercing guitars to wailing and drone is needed to round out the experience of this bands music. But until then.. buy the record.